Train games are a classic staple of board gaming, from the bestselling gateway sensation of Ticket to Ride to the brain-melting series of 18XX games. 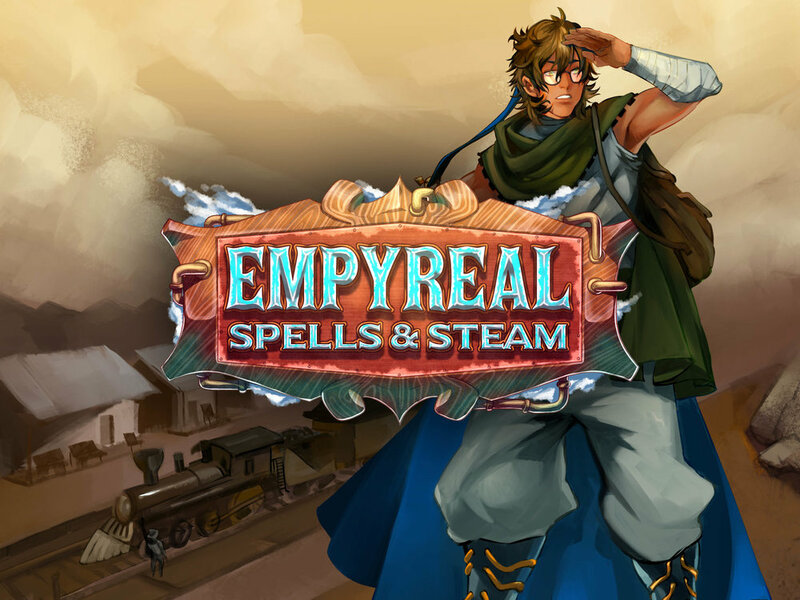 Designer Trey Chambers and publisher Level 99 Games are now making their own magical mark on the genre with Empyreal: Spells and Steam. Now on Kickstarter, Empyreal is a train game set in the same gorgeously illustrated World of Indines as BattleCON, Pixel Tactics and Argent: The Consortium. Can you tell us a bit about Empyreal: Spells and Steam? Sure! Basically it is a pick-up and deliver, route-building, action selection game. The most unique thing about it mechanically is that your action selection mechanism is a rondel of sorts, but one that you can modify and custom build into an engine of your choosing. The most unique thing thematically is that it's set in an original fantasy setting, Level 99’s World of Indines. There are very few games of this type that take place in a fantasy setting. Iron Dragon is one, but the theme there is barely connected to the gameplay. In Empyreal, the magical nature of it permeates throughout. I played an early prototype of Empyreal a few years ago, and it was a very different game. What was the development process like, and what have you learned as a designer? I will release a designer diary that explores this thoroughly, but suffice to say, it went through many changes. It began as a pure route-building and pick-up and deliver game that emphasised building over the terrain more. Then we emphasised the action selection. Eventually we added a stock market to solve some issues, but ultimately had to remove that because it caused more problems than it solved. The last key element was the customisable rondel system for action selection, which I was developing for a separate game for Brad (owner of Level 99). He suggested that I merge it into this game, and it worked beautifully. You call Empyreal a “gateway game with depth”. What does this mean, and how does the design achieve it? Empyreal is a gateway game in terms of rules overhead - it’s very easy to explain and understand. But as far as the decision trees, they are pretty vast. Every game you’re going to have different options when it comes to your network, your specialist, your player abilities, your rondel, and many other variables that change game-to-game such as the goals. So “easy to learn, hard to master” is an apt cliché here. There are a lot of different train games. What do you think sets Empyreal apart from the crowd? I probably should have read all the questions before answering, ha! I mentioned most of them already - the custom rondel, the variable player powers, the fantasy setting, the myriad of abilities, the goals which change from game-to-game. I don’t know many train games with any of these components, and certainly none that combine several all at once. The result is a game that is very fascinating and replayable. 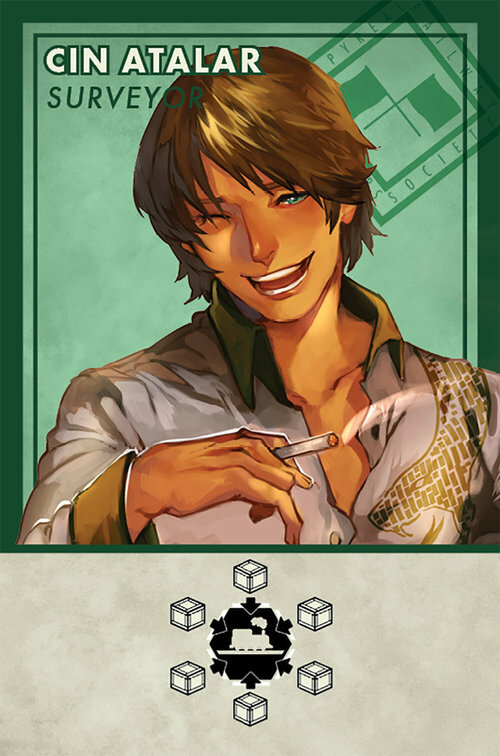 ‍Both Argent: The Consortium and Empyreal have variable player powers that can drive your strategy in the game. What do you like about this mechanic, and what design challenges do you need to consider? Most of my favourite games, such as Spirit Island, Agricola, Terra Mystica, and Chaos in the Old World, have variable powers or variable player powers. I believe these are essential to making a game have a lot of replay value. Otherwise games get very same-y very quickly. I’m just doing the exact same things in different ways in most games. But with my favourite games and the games I design, the experience is very different from game to game. And with Empyreal especially I find I enjoy it more and more each time I play. Which Captain is your favourite, and why? That’s really tough as they all have really cool abilities. I will say I really enjoyed blowing up spaces with pollution using the Gesselheim Captain in the game we recently played! Who would you recommend Empyreal to? Anyone who likes route building, pick-up and deliver, or action selection. Any fans of the Indines setting. Any fans of my other games Argent: The Consortium and Harvest which have similar design philosophies behind them. I also think it’s simple enough for newer gamers to get into, but deep enough for heavy gamers to sink their teeth into it. 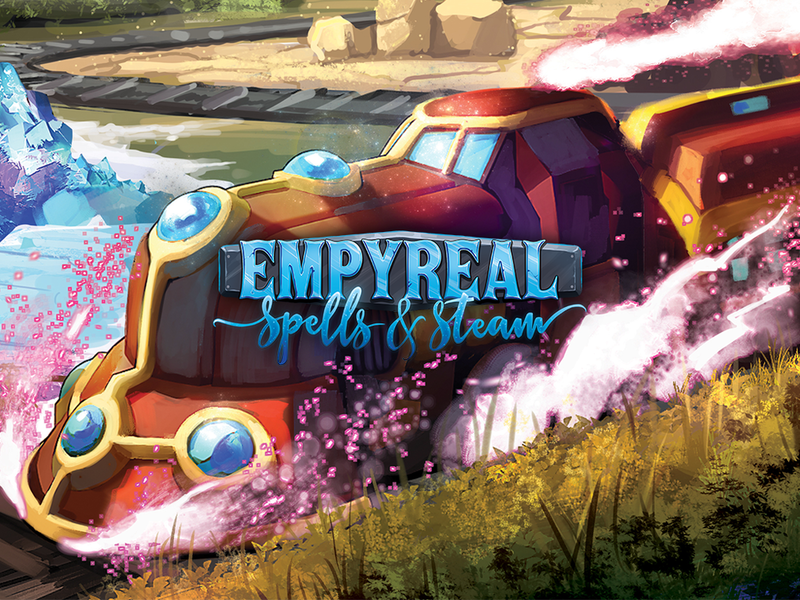 ‍You can find more about Empyreal: Spells and Steam on Kickstarter here, including gameplay videos, reviews and the full rulebook. The game is also available to play for free on Tabletop Simulator if you'd prefer to try it out first. After funding in just 25 hours and already steaming through stretch goals, this looks like a game you won't want to miss!